Claudia Viek founded the Invest in Women Entrepreneurship Initiative in 2018 after serving for ten years as CEO of CAMEO, the premier network of 120 organizations serving 50,000 micro and small businesses in California. She has been a pioneer in both the Micro Enterprise and business incubation fields in California. She is the former Executive Director (14 years) of the Renaissance Entrepreneurship Center, an award-winning training, financing and business incubation program in San Francisco. Claudia was a longtime board member of the national Association for Economic Opportunity and a previous President of NAWBO Bay Area chapter. Rebecca Kee served as Communications Manager for the National Diversity Coalition, advocating for equal opportunities for all communities to access fair lending and financial services. Rebecca is a former public school teacher whose success in raising test scores among inner city students led to a personal classroom visit from US Secretary of Education Arne Duncan. 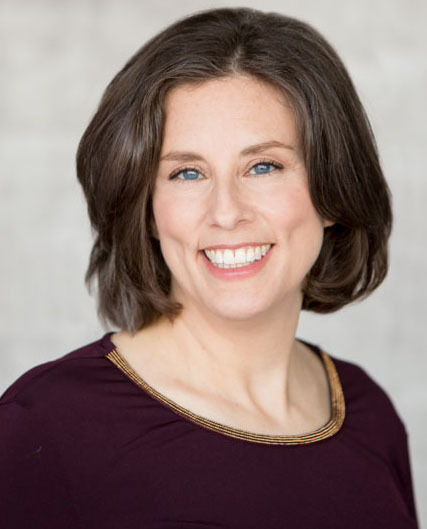 Erin Musgrave, principal and founder of EMC Strategies, is a seasoned communications professional with more than 15 years of public relations, advocacy and journalism experience. Erin uses her deep understanding of the media and years of experience in strategic communications to fashion winning narratives, develop powerful arguments and create smart strategies that carry a message to those that matter. And she puts in the time and effort needed to execute those strategies in ways that produce results. Before hanging out her own shingle, Erin had an award-winning career in journalism and spent a decade working in communications and advocacy. Shannon Adkins is the CEO at Future State, a human-centered management consulting firm focused on supporting operational transformation within global Fortune 500 companies. Future State is 100% employee owned (ESOP), a B-Corp and a certified Woman Owned Business (WBE). Shannon is deeply passionate about driving forward the Future State vision to “Enable Extraordinary Visions that Positively Impact the World,” and continuously hones her point of view on what it takes to build a purpose-led culture. Marsha Bailey is the President, CEO and Founder of Women’s Economic Ventures. She has 30 years of experience in women’s business development and micro-lending. Under her leadership, WEV has become nationally recognized for its high-impact, innovative programs which have helped start or expand more than 4,000 businesses on the Central Coast. Marsha is a former member of the National Women’s Business Council, which provides policy guidance to the White House, Congress and the Small Business Administration on issues related to women’s business ownership and is the past chair of the national Association of Women’s Business Centers. Faith Bautista is President and CEO of the National Asian American Coalition (NAAC) and CEO of the National Diversity Coalition (NDC). She is a champion of the underserved, reaching out to communities that have traditionally been left out of homeownership, small business and financial literacy. She is an advisory member on the boards of CUDC, CIT, Royal Business Bank, and FCC broadband adoption and diversity. Faith is also a member of the national advisory board for Charter Communications and presidential nominee for the CDFI advisory board. Former Mayor of Cleveland Jane Campbell serves as the Director of the Washington Office of the National Development Council (NDC), the oldest and most experienced community and economic development organization in the country. 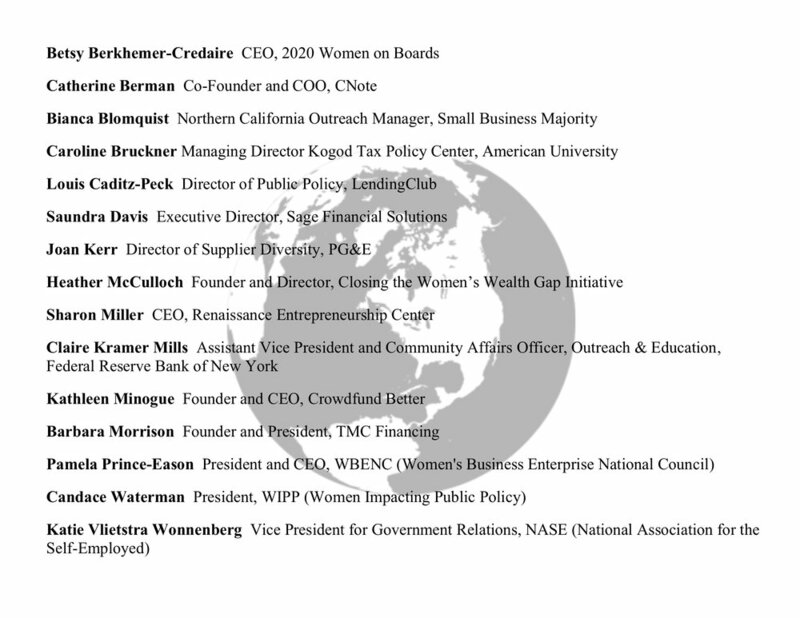 She is the immediate past president of Women Impacting Public Policy (WIPP), a coalition of women business organizations advocating for federal policy to support women entrepreneurs. Prior to joining NDC, Campbell served Sen. Mary Landrieu (D-LA) as the Staff Director for the Senate Committee on Small Business and Entrepreneurship. Marcia Griffin, Founder & President of HomeFree-USA, is on a mission to strengthen people, elevate partners, and enhance communities across America. As founder and president of HomeFree-USA, she has helped thousands to achieve and retain the dream of homeownership and greater wealth. HomeFree-USA enjoys a remarkable 0% foreclosure rate among families that have participated in the organization’s pre- and post-purchase guidance programs. Serving as a bridge between financial institutions and the community, Marcia addresses the needs of homebuyers and homeowners with targeted education, distinctive marketing strategies and lender advocacy. Pat Heffernan is a change strategist, business thinker, writer, president and founder of Marketing Partners, a Vermont-based firm working with mission-driven organizations to change the status quo, sustain our natural world and improve lives. Pat is the founding president of Vermont Businesses for Social Responsibility and Women Business Owners Network. Pat served on the S.B.A. Region I Advisory Council, on two delegations to the White House Conference on Small Business, and currently serves as board vice-chair of the American Sustainable Business Council (ASBC). Jenny Kassan has over two decades of experience as an attorney and advisor for mission-driven enterprises. She has helped her clients raise millions of dollars from values-aligned investors and raised over one million dollars for her own businesses. 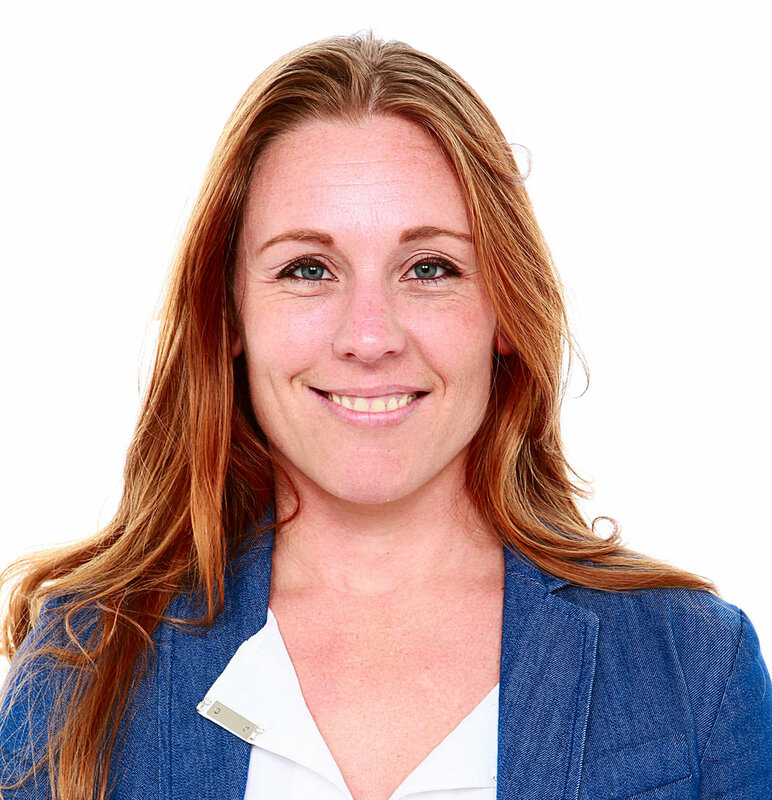 Jenny is certified as a coach by the International Association of Women in Coaching. She co-founded the Force for Good Fund, which invests in best for the world companies led by women and people of color. She is the author of the forthcoming Raise Capital on Your Own Terms: How to Fund Your Business without Selling Your Soul (Berrett-Koehler, October 2017). Carolina Martinez is the CEO of CAMEO (California Association of Microenterprise Opportunity), leading the organization in its mission to support and expand entrepreneurship. Her prior experiences as a nonprofit leader included work supporting small businesses in Colombia. In 2011 she joined Community Action Development Corporation of Bethlehem in Pennsylvania, where she taught 18-week classes for pre-ventures and startups. In 2012, she became the director of the Kutztown University Small Business Development Center’s Latino Business Resource Center and later opened her own consulting firm, The Puentes Group. Esther Morales most recently served as the Executive Director of the National Women’s Business Council in Washington, DC, to move forward a policy agenda in support of women business owners and entrepreneurs. Esther brings 20 years of political acumen, organizational development, campaign management, and organizing experience to her work. Besides women's entrepreneurship, she has focused on climate, clean energy, healthcare, access to higher education and early childhood education, as well as children and family services.